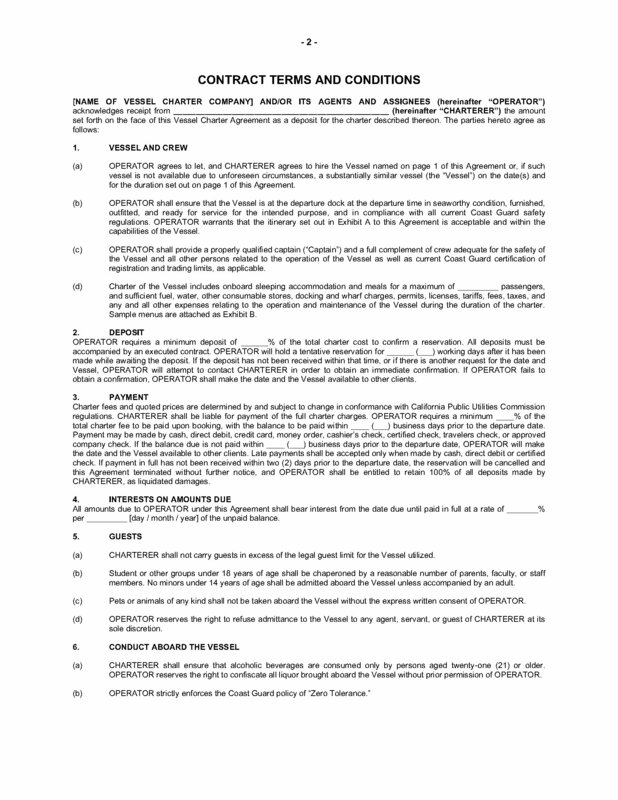 Rent out a crewed yacht or other water craft to vacationers with this Skippered Vessel Charter Agreement for California. The charter operator will supply the services of a qualified vessel master and crew. The master makes all decisions regarding weather conditions and whether to vary the course of the vessel due to weather, traffic in the area, or any other reason. Only persons of legal age will be allowed to consume alcohol onboard, in accordance with California laws. Smoking, fireworks, illegal gambling, and use of illegal substances are not allowed. The operator strictly enforces the Coast Guard policy of zero tolerance. 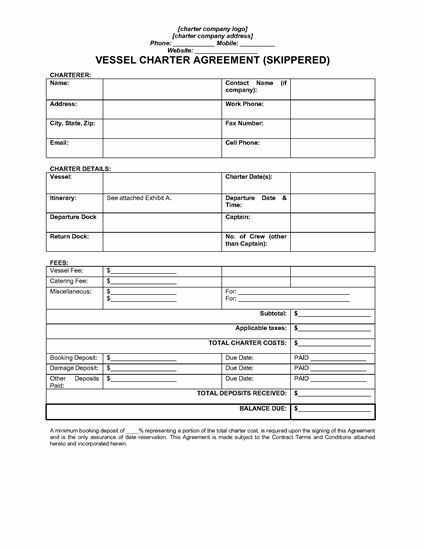 If the charter is ended early due to weather, breakdown or other reason not caused by the charterer's party, a refund will be issued on a prorated basis. Hiring a lawyer to draft up a similar agreement could cost you hundreds of dollars. 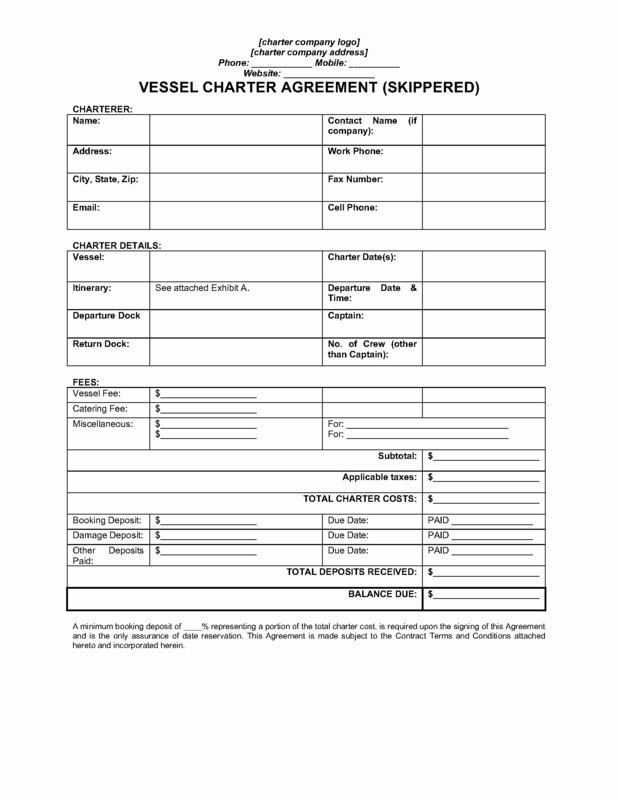 This California Skippered Vessel Charter Agreement is a downloadable template that saves you time and money.